Hydraulic components have tremendous potential for realizing “tough robots” owing to their “tough features,” including high power density and shock resistance, although their practical robotic usage faces some challenges. This chapter explains a series of studies on hydraulic robot components, focusing on high output density, large generative force, shock resistance, and environmental resistance to investigate reducing size, increasing intelligence, lowering weight, achieving multiple degrees of freedom, and lowering sliding friction. The studies are based on past hydraulics technologies with the aim of permitting hydraulic actuator technologies to take important roles in achieving tough robots to operate at disaster sites and under other extreme environments. The studies consist of research and development of compact, lightweight, and high-output actuators; rotating high-torque motors; low-sliding cylinders and motors; power packs; high-output McKibben artificial muscles; particle-excitation-type control valves; hybrid boosters; and hydraulic control systems to be undertaken along with research on their application to tough robots. 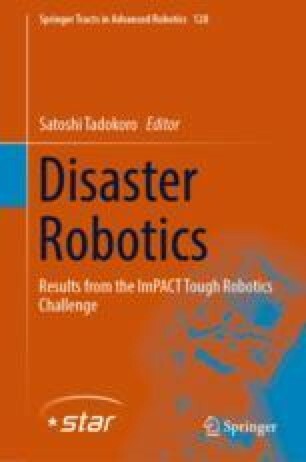 This research was funded by ImPACT Tough Robotics Challenge Program of Council for Science, Technology and Innovation (Cabinet Office, Government of Japan). The authors thank Yuken Kogyo Co., Ltd., KYOEI INDUSTRIES.CO., LTD., Pneumatic Servo Controls LTD., KAWAMOTO HEAVY INDUSTRIES co., ltd., MARUZEN KOGYO CO., LTD., ONO-DENKI CO., LTD., Weltec-sha Inc. Ltd., Hydraulic Robots Research Committee, Tokyo Keiki Inc., Fine Sinter Corp., Takako Inc., and Mori Kogyo, Ltd. for their support.